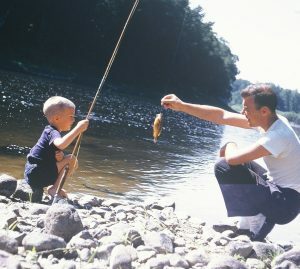 How do we learn to fish? There is no better way than to learn from our Dad, or maybe an older brother. God our Father has given us the tools and the ability. Now it is time to activate the “Know-how” and the faith to get the job done. I am always looking at the big picture, so when I say get the job done I am imagining bring the aspects of the Kingdom to our lives and the lives around us. In the process everything changes. Relationships change, our work environment change, our priories change, how we invest our time and energy changes. It has to happen at home and at work, as well as when we are enjoying a day of nothing special needing to be done. Are these the same? I did not think so until recently. Let me walk you through the discovery I have made recently and you can decide for yourself. What is wealth and success? Overview of the 7 Habits of Highly effective People. Jesus modeled success on the highest level.